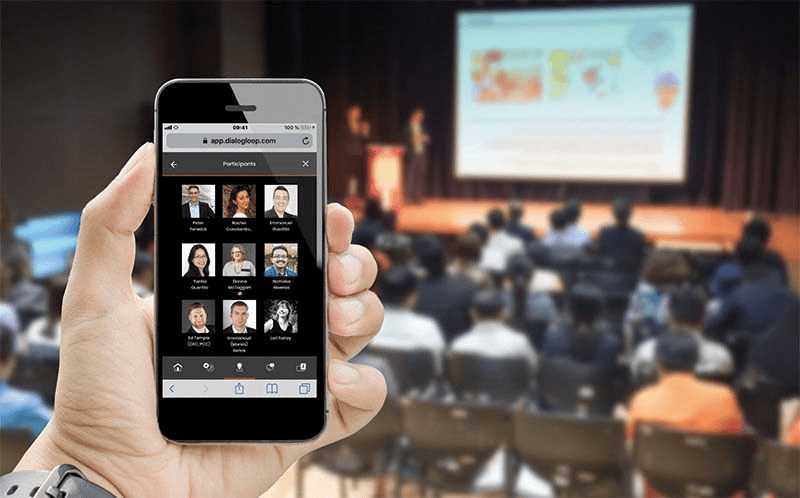 Audience Engagement and Networking - DialogLoop™, Inc.
✓ Share slides LIVE to an attendee’s device, at the presenter’s pace. ✓ Share supporting files, links/URL, Speaker Notes, dedicated #tags for social media (LinkedIn, Facebook, twitter) on individual slides. 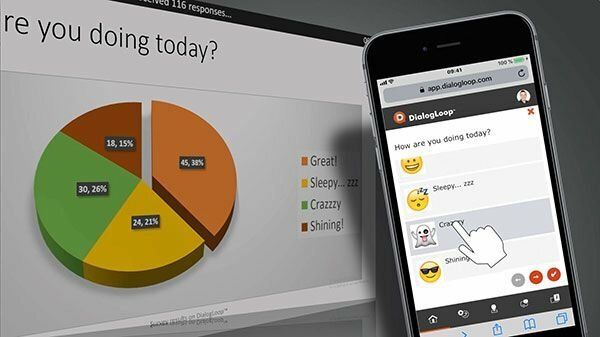 ✓ Enable attendees to download shared presentations (PDF) with their own notes... all from the DialogLoop™ webapp. ✓ Stream a “last-minute” PowerPoint presentation in a couple of seconds. ✓ Update PowerPoint slides and add supporting files while LIVE Sharing. ✓ Use all DialogLoop™ features before, during and after the event. ✓ Keep all content and interactions online after the event for viewing, updates and maintaining the audience engagement. ✓ Manage single or multiple rooms events independently and simultaneously (ie: conferences). 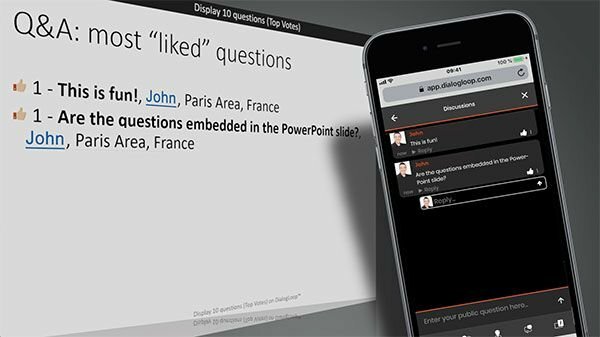 ✓ Create Live Polls, Quizzes and Surveys within PowerPoint : 1 question= 1slide. 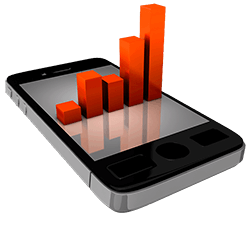 ✓ Design your chart to display poll/survey results using PowerPoint's powerful design features. ✓ See the PowerPoint chart animating on the big-screen as the responses come in. ✓ Collect and save the polls/surveys results within the active PowerPoint file. ✓ Gather opinions, ideas and feedback using a fun and colorful visual, within a PowerPoint Slide. 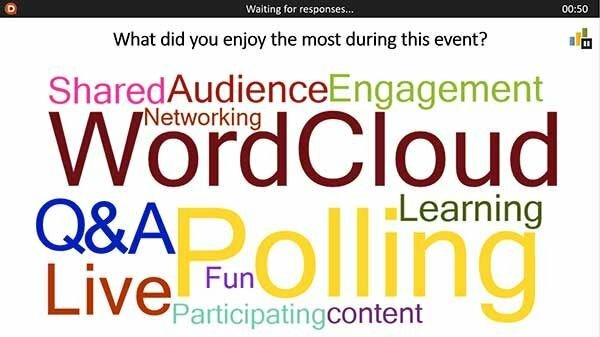 ✓ See the Word Cloud forming on the big-screen: the words size is proportionate to the number of times they have been input by the audience. ✓ Save the Word Cloud within your PowerPoint presentation. ✓ Get attendees to connect to the shared Presentation using LinkedIn, Facebook, Twitter or DialogLoop Login. DialogLoop Login is password-less and can be done through email or phone code. 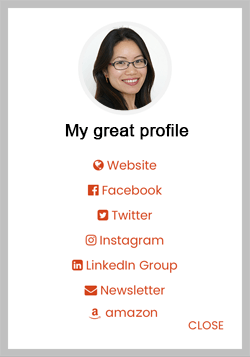 ✓ Create one or several Presenter 's Profile Card with clickable links, and get it seen by all participants at the opening of the session. ✓ Reveal attendees' profile to the audience as they connect to the session. ✓ Know dynamically who is in each event room. 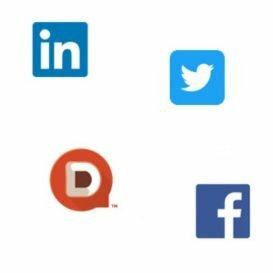 ✓ Enable attendees to socialize and network using DialogLoop's cross-platform Private Chat (bridging LinkedIn, Facebook and Twitter). ✓ Enable attendees to network before, during and after the event: chatters receive an email notifications of every chat message, even after exiting the DialogLoop™ web app. ✓ Enable written Q&A during the full duration of your presentation. ✓ Receive questions live, within the active PowerPoint file. ✓ Get attendees to up-vote the questions, and see the ranking changing Live on the big-screen. ✓ Enable attendees to respond to public question/comments (like on social media sites). 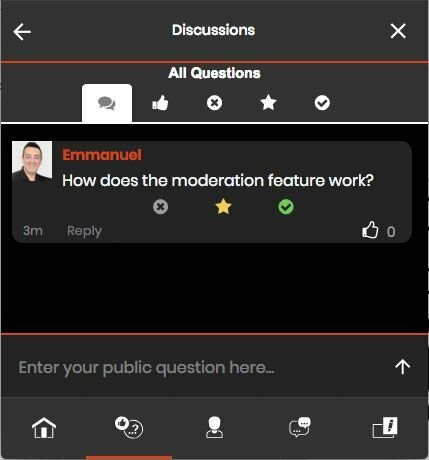 ✓ Choose one or several moderators in the audience, directly in PowerPoint. ✓ Filter questions as they come-in, using the DialogLoop™ WebApp on mobile device(s) : approve / block / highlight questions. ✓ Let DialogLoop scan your PPT to aggregate all embedded URLs and convert them it clickable links when sharing the slides. ✓ Convert phone numbers, emails and website addresses automatically to build the Presenters' Profiles. ✓ Automatic QR-Code generation on a first slide to help attendees to connect to the session. ✓ Enable attendees to take notes on each slide while presented. ✓ Enable attendees to download a PDF file with the notes next to each slide. ✓ Notes are private and saved automatically on the local device. ✓ Connect to the session through your social Media login or a password-less DialogLoop account. ✓ Set for each slide a specific set of #tags, to generate more focus traction on social media, when attendees share a slide.